This year so far was a year of preparation and focus on the 2 weak links: swimming and cycling. 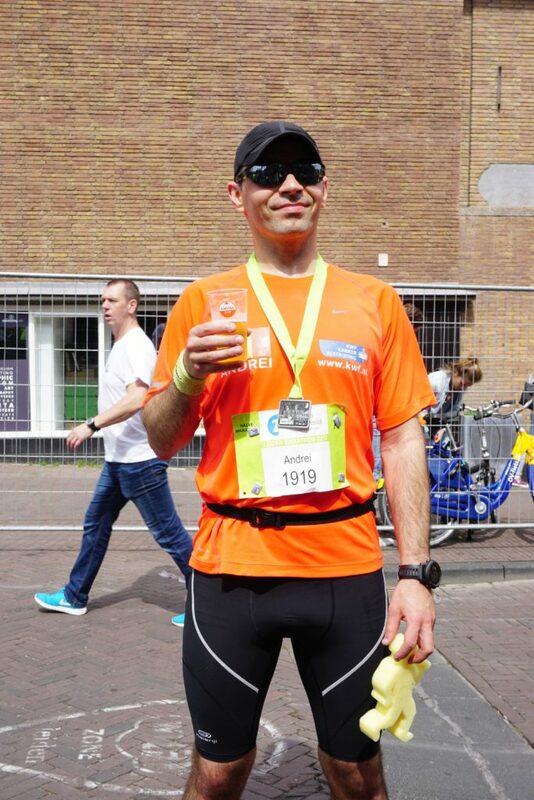 As a result, my first race of the season was on the 21st of May thanks to the Leiden Marathon. As my focus this year is on “half distances” and my first half marathon in the Netherlands was the Leiden Half Marathon in 2014 which was a great experience for me (coming from Cyprus and seeing plenty of people along the course cheering for you was a first), this years opener for me was the Leiden Half Marathon race. 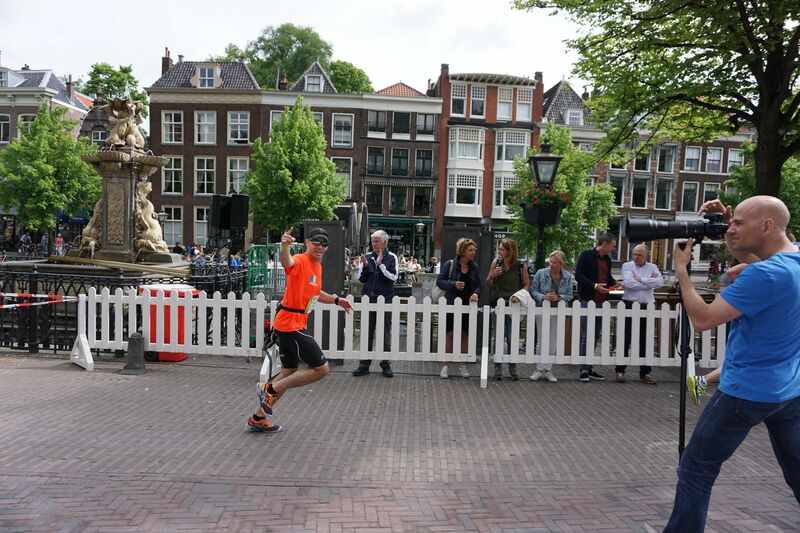 Having focused mostly on swimming and cycling meant that so far little running was done (under 500km) thus expectations before the race where rather limited and realistic. I saw the race as a good opportunity to test my current running level. Given my previous half marathon times I was targeting a sub 1:35:00 with an optimistic finish time of close to 1:30:00. The day of the race brought totally atypical weather: not a single cloud on the sky, NO wind and plenty of sun… Being a “Leidener” meant that my warm-up for the race was mostly the bike ride from home to close to finish line of the race and then a relax walk/stretch to the start line. Probably thanks to half-marathon PB the organizers placed me in the first start zone… lucky me: less traffic in front of me. 10:30 sharp and the race starts! As usually the adrenaline rush and the speed of the group make me start faster than planned. Despite a crowded start and plenty of people on the side of the road I manage to spot my paparazzi in the crowd: I smile and wave and continue running. The 11th km of the race passes through the Groenendijk village – this place is really great during the marathon: the street is full with people cheering for the runners, a live band is trying to set the rhythm and immediately after it you get to cross the Oude Rijn on a military bridge… so yeah it’s hard not to get excited and accelerate again. 11th km done in 4:10 and this feels great despite the hot weather. At this point I’m already thinking that I could break the 1:30:00 limit if I manage to keep up the pace… so challenge accepted! Next 4km are done in a rather relaxed pace at under 4:20/km and then at around 15th km a familiar face from the club reaches me. It’s Tim… we say hi, shake hands as we run and I let him follow his pace as he’s faster than me. 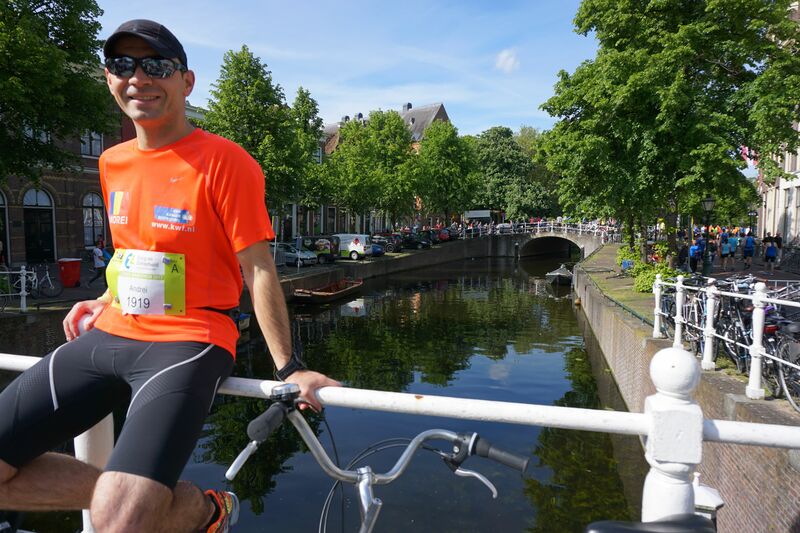 We’re already back in Leiden running along the Singel and this is so familiar to me… we reach the 20th km and I know the finish is close. Some guy is on my back, but I don’t feel like letting him pass me on the final stretch. I’m accelerating again and finish the 21st km in 4:09. 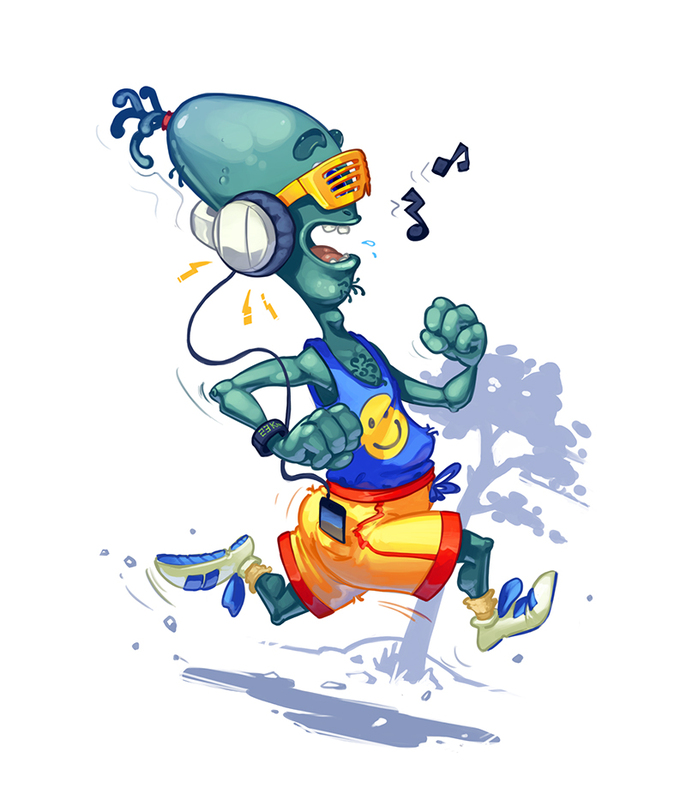 I’m almost at the finish and hear the announcer trying to pronounce my name…. he almost managed to do it 😀 I see my paparazzi again, release my energy in front of the camera and do one last sprint! FINISH! It’s over in 1:28:56 official time! It’s not a PB, but it’s the second best time for a half marathon and a better than expected finish time given the amount of running I’ve been doing this year. Seems like I can still run and the 1:25:00 target I’d like to reach for a half-marathon later this year although not easy, it’s also not impossible given I’ll focus more on the running after the Gdynia Ironman 70.3. 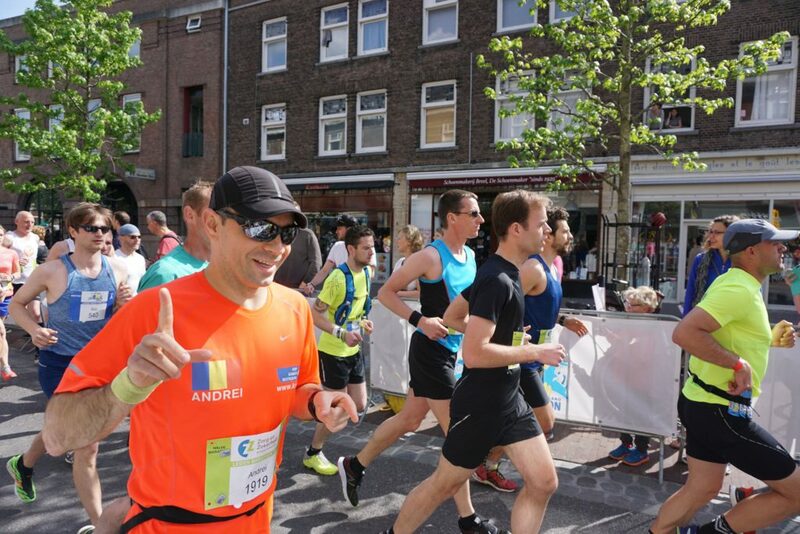 Now I need to find a nice half-marathon for the end of the year 🙂 Maybe it’s time to visit some friends in Brussels for a run? Until next time, happy exercising everyone!